2018-04-28: Well, I’ve been informed that Tolkien’s unpublished letters may be subject to copyright. I would think that unpublished letters would be the one thing that would definitely not be subject to copyright — in fact, the possibility had never even occurred to me. And so, I’m redacting most of this post. Most of my transcription is already available in other places on-line. I will limit myself to quoting the small portions of the letter that I believe have not been available before. RR Auction Company, who previously auctioned Tolkien’s letter to H. Cotton Minchin which I wrote about in 2014, now has several more letters up for auction. As before, they have posted lovely scans of the letters1 — affording us the opportunity of transcribing them for posterity. 1 Currently posted here, although previous experience tells me this link will become defunct before long. I’ll get the ball rolling here with a letter that was previously auctioned in 2009, written by Tolkien on 16 December, 1963, to Baronne A. Baeyens. According to the Tolkien Gateway, the (hopefully temporarily) erstwhile Lord of the Rings Plaza published an extract from this letter at that point, which the Tolkien Gateway has quoted. My transcription follows and, following that, the one-page “secretarial” letter of the same date to Baronne Baeyens. I welcome queries, comments, and corrections below! I enclose a merely secretarial letter. I am obliged to leave a large part of the letters to a part-time secretary; but I always re-read them before sending any reply, and I felt that your most charming and interesting letter deserved a personal note, though it must be briefer than it should be. Please give my best wishes to your son. He is of course right and perceptive to pity Gollum. I find still very moving to me the place where Gollum on the brink of repentance is cast back by the brusque and understandable (&† not very perceptive) loyalty of Sam. The drawing I am v. grateful for. It is more than ‘amusing’. I have written quite a lot, after all. † I cannot quite make this last word out. Your thoughts? 3Sir Gawain and the Green Knight, Pearl, Sir Orfeo, 155. It is well known that a prominent strain in my father’s poetry was his abiding love for the old Northern alliterative verse. In Sir Gawain and the Green Knight he displayed his skill in his rendering of the alliterative verse of the 14th century into the same metre in modern English. To these is now added his unfinished and unpublished poem The Fall of Arthur. 6 “Beowulf: The Monsters and the Critics”, quoted in J.R.R. Tolkien Companion and Guide vol. II, p. 152. The Fall of Arthur recounts in verse the last campaign of King Arthur who, even as he stands at the threshold of Mirkwood is summoned back to Britain by news of the treachery of Mordred. Already weakened in spirit by Guinevere’s infidelity with the now-exiled Lancelot, Arthur must rouse his knights to battle one last time against Mordred’s rebels and foreign mercenaries. Powerful, passionate and filled with vivid imagery, The Fall of Arthur reveals Tolkien’s gift for storytelling at its brilliant best. Originally composed by J.R.R. Tolkien in the 1930s, this work was set aside for The Hobbit and has lain untouched for 80 years. 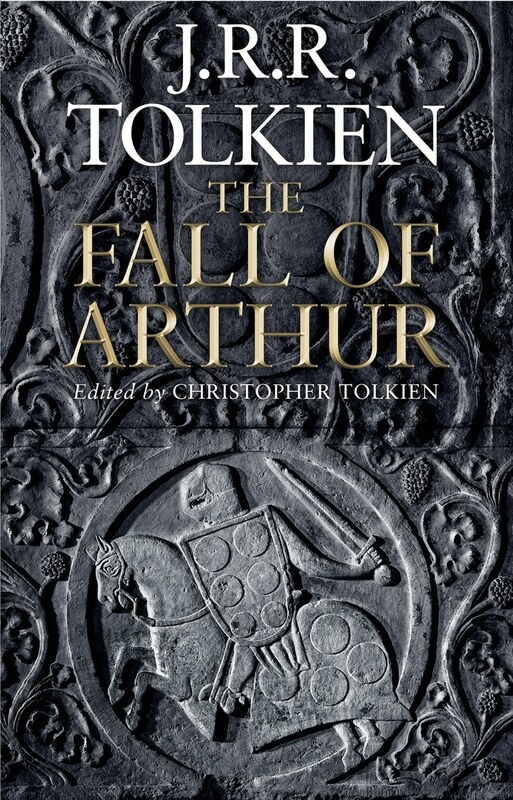 Now it has been edited for publication by Tolkien’s son, Christopher, who contributes three illuminating essays that explore the literary world of King Arthur, reveal the deeper meaning of the verses and the painstaking work that his father applied to bring it to a finished form, and the intriguing links between The Fall of Arthur and his greatest creation, Middle-earth. May 23rd can’t come soon enough! Pre-order The Fall of Arthur at Amazon.com or The Book Depository.